Hannah is originally from Austin, Texas, but has lived all over the United States because her dad was in the Army for 20 years. 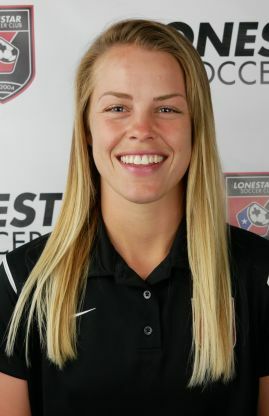 She moved back to Austin in 2006 where she played for Lonestar Soccer Club until she graduated high school in 2012. Hannah committed to Texas Tech University to play soccer at 15 years old. She also graduated high school a year early so she could attend Texas Tech in 2012 at the age of 17. While at TTU, she earned a Bachelor of Science in Kinesiology with a minor in Biology. Hannah was co-captain of the soccer team her senior year when the soccer team won the Big 12 Championship for the first time in school history and also won several All Big 12 awards during her time at TTU.